In just a few hours, the CounterPoint Music Festival will open, welcoming fans from across the nation to the Atlanta Steeplechase grounds for three days of music, art, and much more. 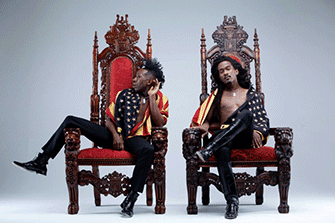 Atlanta duo Deep Cotton, who are part of Janelle Monae’s Wondaland Arts Society, are kicking off the three-day event Friday afternoon with a 45-minute set that is sure to include the hit "We’re Far Enough From Heaven Now We Can Freak Out." Deep Cotton consists of Nate Wonder and Chuck Lightning who, in addition to producing their own music, are a big part of Janelle Monae's writing and production team.